Conklin's fountain pen ink comes in a pleasing range of colours. 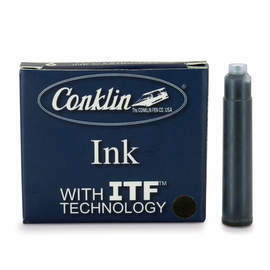 Advanced ITF™ Ink Treatment Formula improves ink flow and lubrication of ink feed, allowing for smooth writing and extended cap off time. 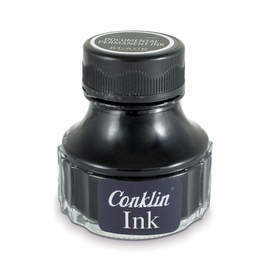 Manufactured in Austria using leading European ink formula.